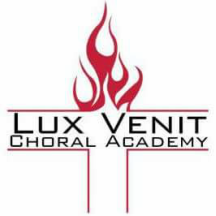 The Lux Venit Choral Academy program is a member of the Texas Private School Music Education Association and Texas Music Educators Association. The activities and organizations of TPSMEA and TMEA are designed to enhance and promote the teaching of music by providing appropriate opportunities of enrichment and achievement through competition and clinics/concerts. These events are optional and available to any student that wishes to advance their musical training and experience. Each event requires a high level of commitment and study. TPSMEA and TMEA offer scholarships to students who wish to pursue a degree in music. Student must be disciplined and self-motivated to learn & memorize music. Student must be enrolled in Lux Venit during fall semester. Students and parents must be able to commit to all the dates given below. Students selected must sign-up to work with Mr. Carr at least 2 times before auditions. The Middle School Region Choir is a fabulous learning experience where talented middle school singers are selected through an audition process to sing in a clinic/concert with approximately 180 students from Region 31 (Birdville, HEB, Grapevine/Colleyville, Carroll, Coppell, and Carrolton/Farmers Branch). For auditions, students prepare 2 choral works, learning their vocal part. Lux Venit will provide music and a practice CD. They perform small portions of these 2 pieces. A panel of five judges will listen to the singers and select the top sopranos, altos, tenors and basses to make up the Region Choir. These students will come together for an all-day event on a Saturday in November under the direction of a well-known conductor and then finish out the day with a concert. They are exposed to challenging music and enjoy working with other talented singers from around the area. They are awarded a Region Choir patch. 9th grade – 12th grade students (14 – 18 years) Student needs strong vocal and music reading skills. · The Middle School Region Choir is a fabulous learning experience where talented middle school singers are selected through an audition process to sing in a clinic/concert with approximately 180 students from Region 31 (Birdville, HEB, Grapevine/Colleyville, Carroll, Coppell, and Carrolton/Farmers Branch). For auditions, students prepare 3 choral works, learning their vocal part. Lux Venit will provide music and a practice CD. They perform small portions of these 3 pieces. A panel of five judges will listen to the singers and select the top sopranos, altos, tenors and basses to make up the Region Choir. These students will come together for an all-day event on a Saturday in November under the direction of a well-known conductor and then finish out the day with a concert. They are exposed to challenging music and enjoy working with other talented singers from around the area. Student must be disciplined and self-motivated to learn & memorize a solo. The Director will only work with students who have taken the time to learn their music with the rehearsal CD provided. Students selected must sign-up for (2) 30-minute coaching sessions with Mr. Carr. Students are assigned a solo or ensemble that is from the University Prescribed Music List and appropriate for their skill level. Each soloist and ensemble will be allowed to perform one song for the judge. Each participating school will be given an appropriate “block” of time in which to schedule their own students. Song selections must be sung from memory and Mr. Carr or another accompanist will accompany all Lux Venit soloists. All ensemble selections are a cappella. A student may choose to sing in 1 ensemble and/or perform up to 2 different solos.